Pour all ingredients into a shaker with ice. 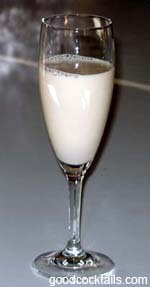 Shake and strain into a champagne flute. You could also use a shot glass or if you prefer on the rocks use an old-fashioned glass.